Although lottery games in Japan go way back to the 1600s, the types of games that are popular today began not long after World War II came to an end. It was at this time that the government came up with a state lottery called Takarakuji (the meaning of which is “fortune lottery” or “treasure lottery”). These games, which awarded not just money but livestock, bicycles, elegant fabrics, fancy watches, homes, cars, and luxury travel packages, quickly grew in popularity all around Japan. Fast-forward a few decades, specifically to October 5, 2000, and that is when Loto 6 was founded and its first draw was held. 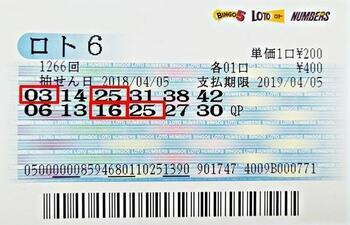 In addition to offering massive cash prizes, Loto 6 was the first Japanese lottery that permitted jackpots to roll over (though the term “carry over” is more common in Japan). Naturally, this attracted a lot of attention from Japanese nationals, who hoped luck would be on their side and change their lives forever—and for many, that’s exactly what happened. Many of the proceeds that come in from ticket sales go to support various public works initiatives and charities around the country. Some also go to development and reconstruction efforts, such as those that are needed after major earthquakes. It doesn’t take a rocket scientist (or at least a professional lotto analyst) to understand the game mechanics behind Japan Loto 6. All players need to do to play the game is choose 6 numbers from a range between 1 and 43, and if their numbers match the ones that are pulled from the “Yume Lotto-Kun” drawing machine, they win the jackpot. Though there is a bonus number that also gets drawn from the same pool, it’s only required to win the second-tier prize but none of the other ones (including the jackpot). Loto 6 is a rollover lottery, and its jackpots can roll over until they reach the ¥600 million (€4,828,496) cap. Within Japan, the price of a ticket is ¥200 (about €1.60). Considering Japan Loto 6 has the potential to turn regular folks into millionaires overnight, the odds of winning Japan Loto 6 are among the best in the world: 1 in 6,096,454. While there are lotteries out there that offer much bigger prizes, most of them also have much tougher odds. 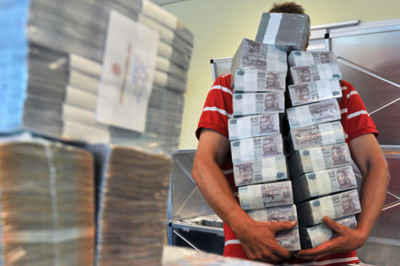 Among the games that tend to offer the world’s biggest lottery jackpots, US Powerball (1 in 292,201,338), Mega Millions (1 in 302,575,350), and EuroMillions (1 in 139,838,160) all come to mind. However, games with odds similar to Loto 6 include Chile Clasico Loto (1 in 4,496,388), Australia Saturday Lotto (1 in 8,145,060), and Hungary Hatoslottó (1 in 8,145,060). 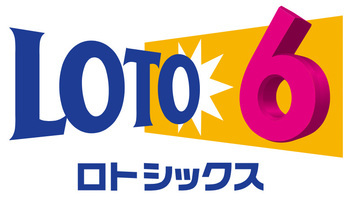 The Loto 6 draws take place every Monday and Thursday night at 7 pm JST at the Tokyo Lottery Dream Museum in Tokyo. If the last or first day of the year happens to fall on the same day as one of the Loto 6 draws, that draw will take place on the following Monday or Thursday (whichever comes first) instead. All winners have up to 12 months to claim their windfalls. Within Japan, any winnings below ¥50,000 (about €402) can be claimed directly from any lottery ticket agent, but larger prizes can only be claimed at one of the participating banks. Tickets purchased at ATMs—yes, that’s possible in Japan—will automatically be transferred into whatever account you bought them from. All prizes are always paid out in single lump-sum quantities. Japan, like many other—but certainly not all—countries around the world does not treat tax winnings as a source of income, nor does it tax it as so. In other words, what you win is exactly what you get. Whether or not your country will tax your winnings when you import them back home depends on your local tax laws. If you’re not certain what they are, this is a topic that’s well worth brushing up on. In Japan, Loto 6 tickets can be bought from lottery retailers (of which there are more than 15,000! ), online, and even through the ATMs of a few participating banks. Although the game is normally intended to be played only be Japanese citizens and visitors, a handful of the best online lottery sites feature it among their offerings. Since playing Loto 6 and other great international lotteries online is fast, cheap, and convenient, it’s really the best way to get in on the action without having to travel anywhere. Plus it’s an excellent way to learn about the world’s greatest lotteries so that when you do travel to certain countries, you’ll know exactly which games are worth playing. Japan Loto 6 – Is It Worth Playing? Although it only has five prize tiers and its jackpots aren’t the biggest in the world, Japan Loto 6 truly offers some of the best jackpot odds in the business. Furthermore, the fact that its maximum jackpot is won fairly regularly alone means this game is definitely one worth checking out—and probably even playing on a regular basis.